So, what has people hooked? 16-year-old Starr Jackson lives in two worlds. She lives in the impoverished and gang ridden neighborhood of Garden Heights but attends a predominantly white private school an hour away from her home. The two worlds never cross paths until Starr witnesses the fatal police shooting of her childhood friend Khalil. Starr struggles to come to terms with the loss of her friend and is torn between speaking out about the fatal night to get justice for Khalil or keeping silent to avoid backlash from the public. I could go on-and-on about what I enjoyed most about this novel, but I will save my rave for another day. However, the plethora of themes and subjects throughout the novel gave me plenty to discuss with my friend, who I convinced to read the book. In addition to the most prevalent subjects of social justice, racism, and police brutality, there’s also love, friendship, community, self- acceptance, and mixed family dynamics. All these subjects make The Hate U Give the novel it is today. I read the book several times and each time I noticed a different subject as I read. Each time I read as if it was my first time reading the book, so I could discover something new. Maybe Thomas wrote one heck of a book, or the situations in the novel were relatable to my own experiences, but there were so many takeaways. If I read it again, I’m sure I will unravel more themes. That’s the beauty of novels; these works can be multi-dimensional. Each layer provides something different for each reader. The variety of story elements throughout the novel (for any novel for that matter) forces you to think more deeply about the world we live in and how it relates to your life. NoveList is here to help you find those multi-dimensional story elements you like. We take pride in the metadata associated with our novels. Whether you are searching by theme, genre or character type there is something out there for you. Curious about this book’s metadata? 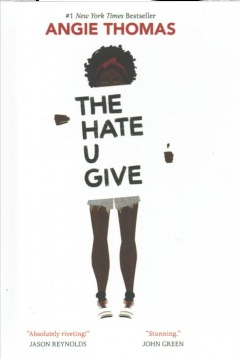 Check it out by typing in The Hate U Give in the NoveList search box and click “more about this book”. 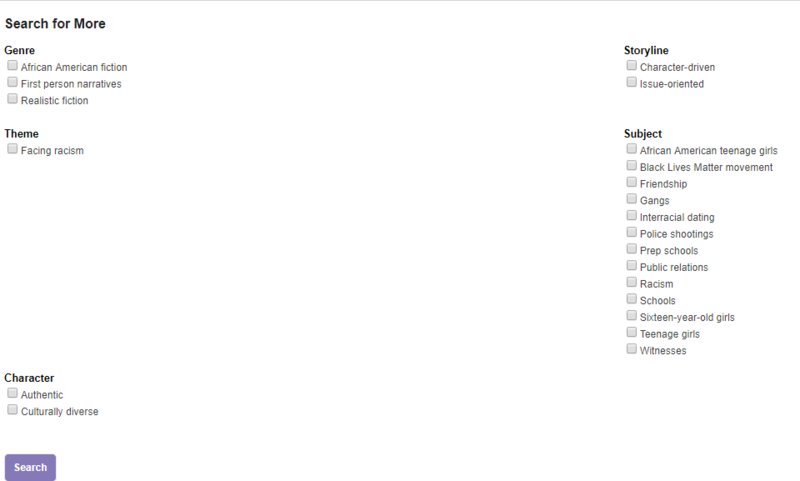 Or use the search for more box as a resource to search for books with similar metadata. Just scroll down to “search for more” and check the boxes you wish to include in your search. Our librarians recently added Black Lives Matter Movement as a subject heading in NoveList. The movement to end racial violence is important to many libraries, not just as it affects what happens on the streets outside public libraries, but as libraries like the Ferguson Municipal Public Library and Enoch Pratt Free Library serve as anchors for communities directly affected by violence. Adding subject headings like this helps librarians and their readers find ready access to the book they need as they deepen their understanding of a broader social justice conversation. If you want to find books with similar subject matter, try searching SU Black lives matter movement OR SU Police shootings in NoveList. Explore other titles about racism by searching TH Facing Racism in NoveList. If you want to explore more themes, we’ve got you covered. Check out our full list of themes and their definitions. 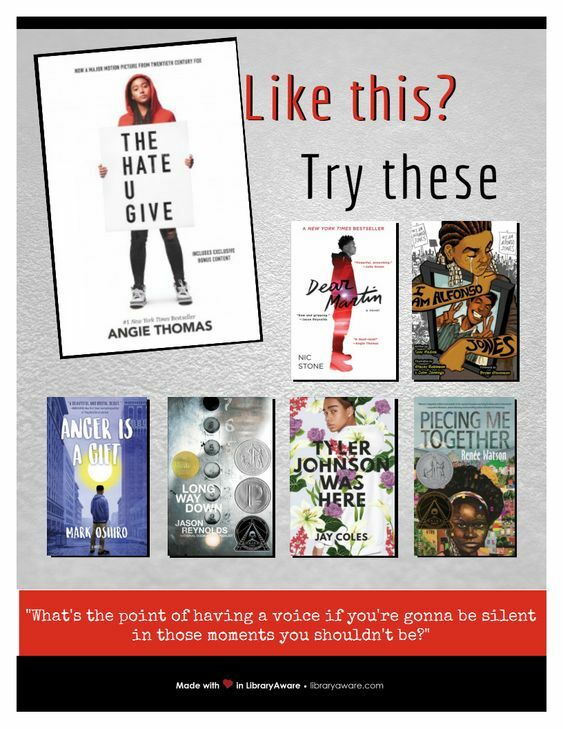 Or check out The Hate U Give recommended reads lists and book discussion questions available in NoveList. 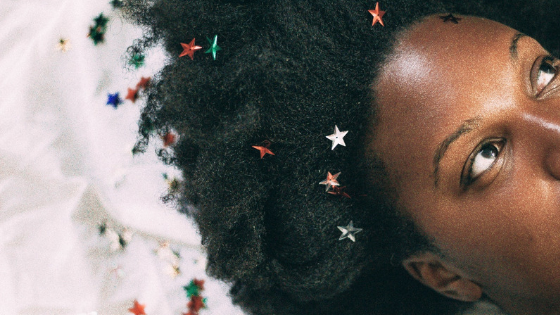 When The Hate U Give releases in theaters, I am going to treat myself to a movie date– and I might even splurge on an overly priced theater snack. I encourage you to see the movie like I will, contrasting the themes in the book to the themes portrayed in the film. It’s always fun to compare the overlap of movies and books. Latasha Jeter is the Communications Specialist for NoveList. In her free time, she watches cooking shows, journals, and goes on late-night trips to Target.